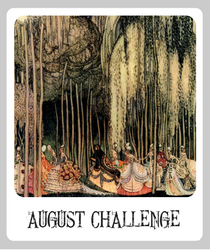 We have two very talented artists as our wonderful sponsor for the June Challenge. We will have 2 Lucky Winners this Month! Andrew Thornton of Allegory Gallery creates handmade jewelry, jewelry components and unique art at his studio in Ligonier, Pennsylvania. "We are a creative space that's one part bead store, one part jewelry boutique, one part fine art gallery, and one part gift shop. The aim of Allegory Gallery is to promote artisan craftspeople, inspire the community to explore their creativity, and act as a focal point for classes and artistic education in the area." 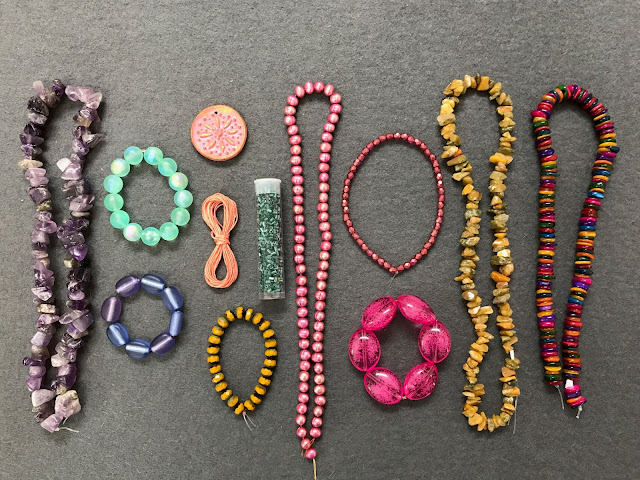 Andrew is donating in everything pictured above valued over $50 which is made up of a strand of amethyst, vintage plastic, Czech glass, vintage seed beads, polymer clay by me, freshwater pearls, yellow jade, and dyed shell, for the Jewelry Pinterest board winner. Visit Andrew on Facebook, Etsy, Twitter, Instagram, Andrew's Blog and Allegory Blog. 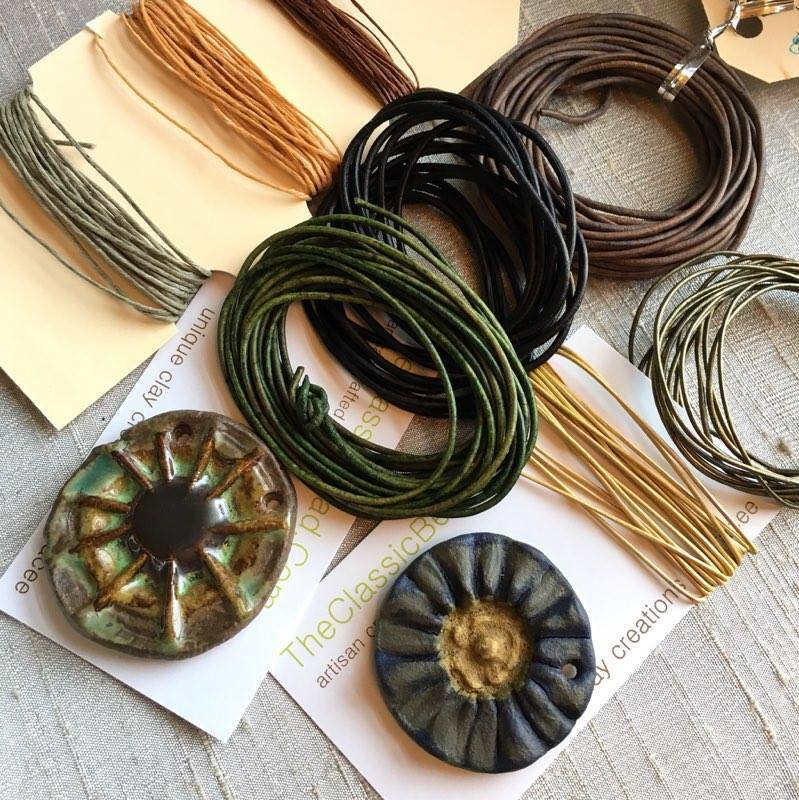 Tracee Dock of The Classic Bead creates wonderful earthenware clay pendants, beads, jewelry components and she also designs jewelry in her Kansas City, Missouri studio. "For years I sewed, made reproduction porcelain dolls, and at the request of my friend Sara who owned a bead store I began creating pendants and so The Classic Bead was born. In 2008 I opened my Etsy store and my business grew. 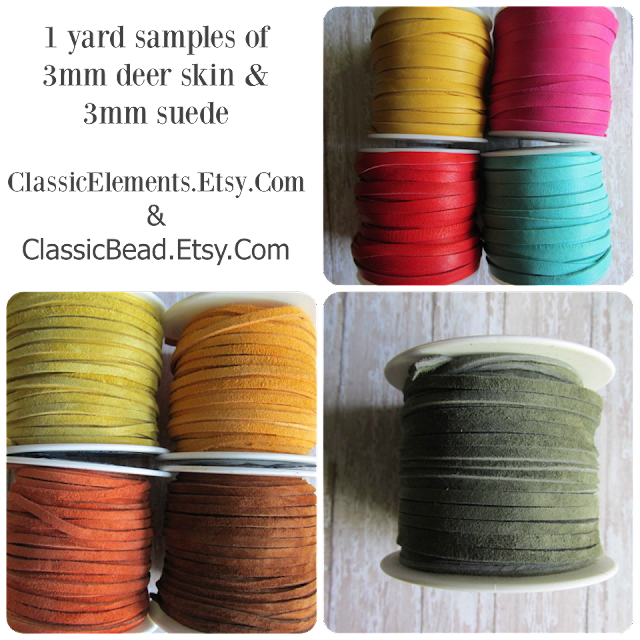 I have expanded to supply bead shops, shipping trunk shows, and opened a second Etsy shop for buttons and other supplies. So in a way....a hobby turned into a small cottage business where I can work from home where I am content and make special little lovelies to share with my customers." Tracee is donating everything pictured above + 1 yard of assorted suede & Deerskin lacing, valued over $50 for the Monthly Recap winner. Visit Tracee at her Website, Classic Bead Etsy, Classic Element Etsy and Facebook. This Month's art has many different elements that can be used for inspiration: female profile images, human form, images inside of images, red, blue, green and orange. **IMPORTANT** Please remember to put JUN ABS in the title or tag of your submission(s). Pinterest doesn't keep Pins in the order they are posted.